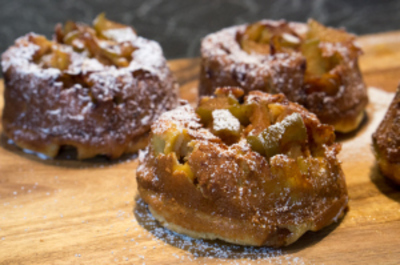 These apple popovers are so easy to make and so delicious. The combination of apple pieces and cinnamon soaked in maple syrup is heaven. Add that to the light and airy texture of the dough and you have one awesome little dessert that will warm your heart for winter! If you don't know what a popover is, you can probably relate it to a sweet version of a Yorkshire pudding and as equally delicious. I used maple syrup in this recipe to cut back on refined sugar but I have included the measurements for caster sugar for you as well. 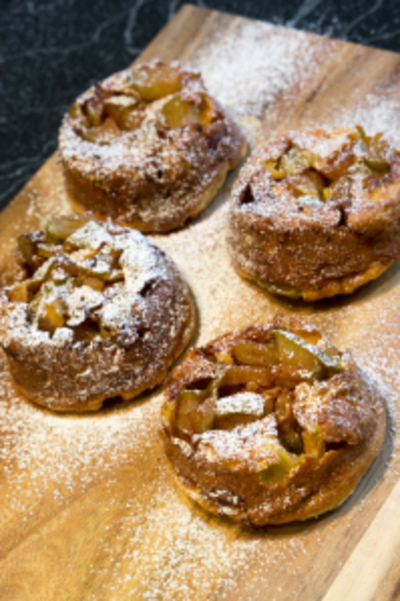 Serve warm from the oven, dusted with icing sugar or a dollop of whipped cream. 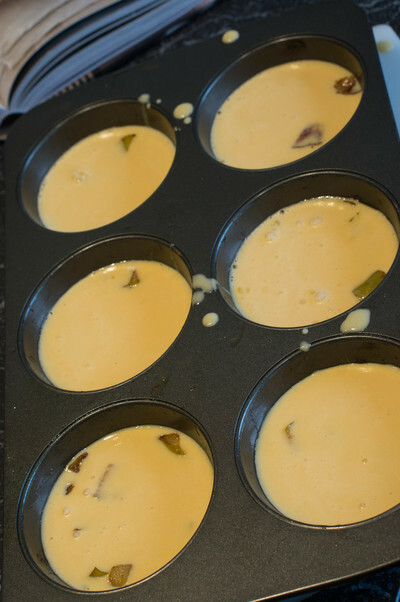 Preheat oven to 220 C. Place a six hole Texas non-stick muffin tin in the oven to heat. Combine half of the butter and half of the maple syrup or sugar in a saucepan over medium heat. Add the apples and cook for about 8-10 minutes, turning often, until softened and golden brown. Remove from heat and stir in cinnamon. 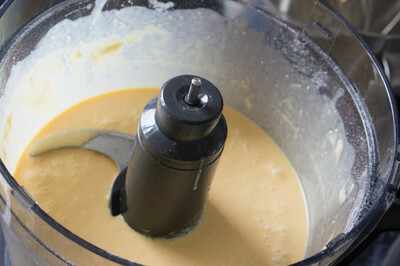 Meanwhile, put the remaining butter and maple syrup (or caster sugar), milk, eggs, and flour in a food processor and process until a smooth batter forms, scraping down the side of the bowl as necessary. Working quickly, remove the hot muffin tin SAFELY from the oven and grease the holes with the extra melted butter. 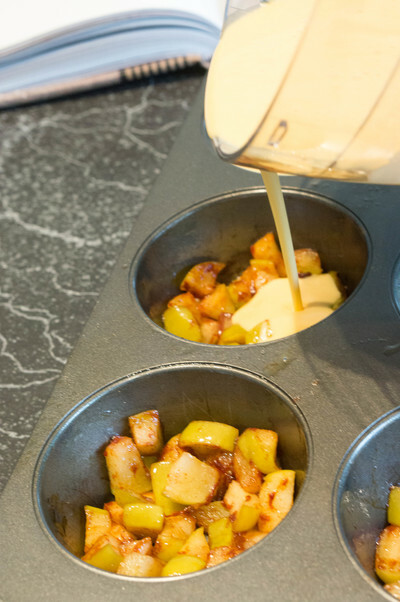 Divide the apple mixture among the holes, then pour over the batter evenly. Bake for 10-15 minutes, without opening the oven door as this can cause the popovers to deflate, and until puffed and golden brown. Turn out immediately and serve sprinkled with icing sugar. These are best warm from the oven. but I ate them all day and had one later on in the evening with some whipped cream on top!